We are a large family run 400 sqm garage which has been established for little over 3 years, since early 2014. 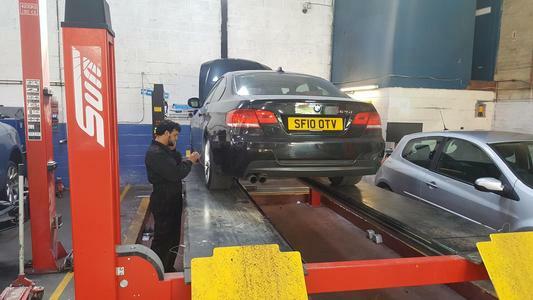 We opened our doors originally purely as a bodyshop workshop, however we have recently undergone an expansion and now offer our customer all forms of mechanical repairs and servicing too as well as class 4 and 7 MOT’s. We employ a team of five technicians, each with their own specialty. We have one auto electrician who has main dealer experience and dealer level diagnostic tools, one body shop specialist, one painter and two mechanics who are MOT’s testers. Our technicians have a wealth of experience working on all makes and models of cars and light commercial vehicles. We also have a jig so can repair accident and crash repairs, and a spray paint booth too. We can offer a free of charge collection and delivery service to our nearby customers to help ease transportation issues, and a recovery service for non-starters.